Celebrate the holidays at the Christmas Festival on Saturday, November 30, and Sunday, December 1 with Santa Parades starting 1:30 p.m. both days. Shops are open until 9 p.m. on Saturday and 7 p.m. on Sunday. Free admission. 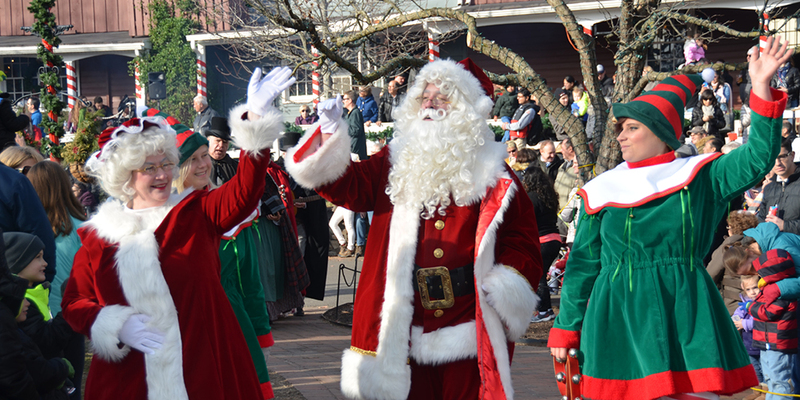 Catch the Santa Parade through the Village on both Saturday and Sunday at 1:30 p.m. through the Village! Visit the Annual Gingerbread House Competition and Display in the Village Gazebo throughout the weekend. Free admission and most parking is free. Please note: Due to the recent weather, parking for this event will be limited. We advise you to arrive early and/or to carpool/Uber/Lyft/taxi!